In order to cover the demands of dynamic mechanical analysis (DMA) in bending, tension, torsion, and compression different optimized measuring systems are available for MCR 702 MultiDrive in combination with the linear drive. Included temperature sensors ensure the highest reproducibility over the entire temperature range without manual positioning of the sensor. The QuickConnect functionality allows one-handed connection of the measuring systems and ensures fast, convenient system changes without the use of a screwing mechanism. The Toolmaster™ functionality enables automatic tool recognition and configuration without any manual settings in the software. This measuring system is suitable for dynamic mechanical analysis (DMA) in bending mode. To perform a three-point-bending test the sample is positioned on both ends of a movable sample support while a static bending tool is placed at the midpoint of the sample. 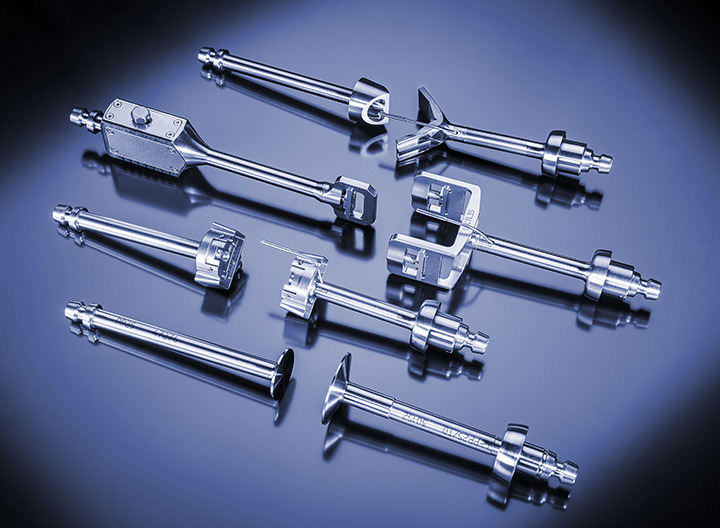 Because no additional clamping of the sample is necessary measuring errors due to restraints are minimized. 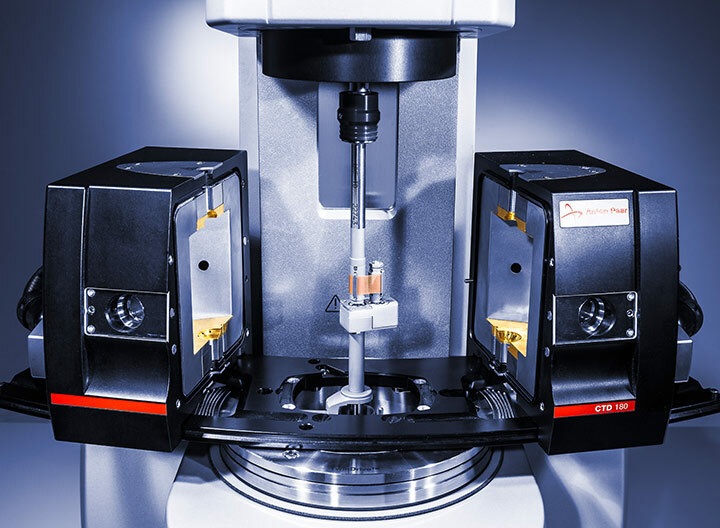 This makes the measuring system suitable for an accurate characterization of stiff materials, such as composites and thermoplastics below their Tg, thermosets, and also metals and ceramics. Cantilevers are used for dynamic mechanical analysis (DMA) in bending mode. In case of dual cantilevers the sample is fixed between two fixtures on both ends and on a central fixture at the midpoint of the sample. In a single cantilever the sample is fixed between the central fixture and only one fixture at the end. 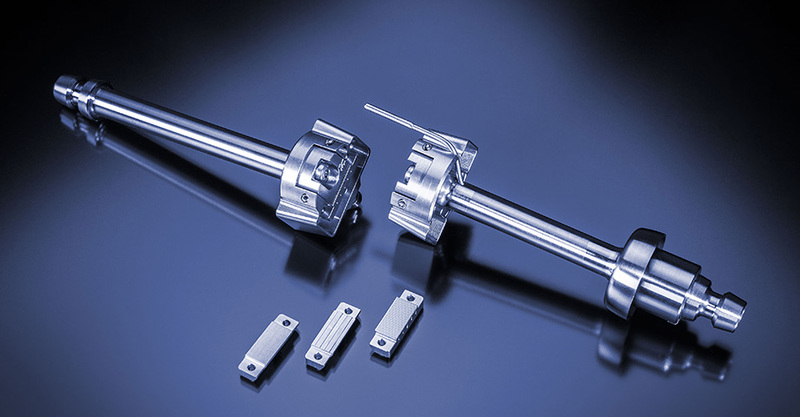 The measuring systems are suitable for materials with low stiffness but also materials which show dramatic changes in dynamic mechanical properties and which could otherwise show strong bowing under load. 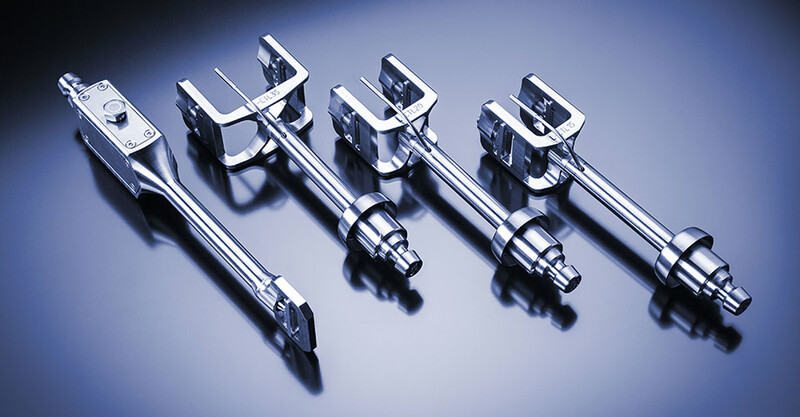 This special measuring system consists of an upper and lower fixture which clamp a vertically positioned sample and which ensure measurements while the linear drive or the rotational drive is in action. With this setup, dynamic mechanical analysis (DMA) in tension and torsion can be performed. This can be used, for example, to determine the complex Young’s modulus |E*| as well as the complex shear modulus |G*| and even the Poisson’s ratio of films, fibers, and thin solids. Furthermore, it is also suitable for measuring the thermal expansion of solid bars. 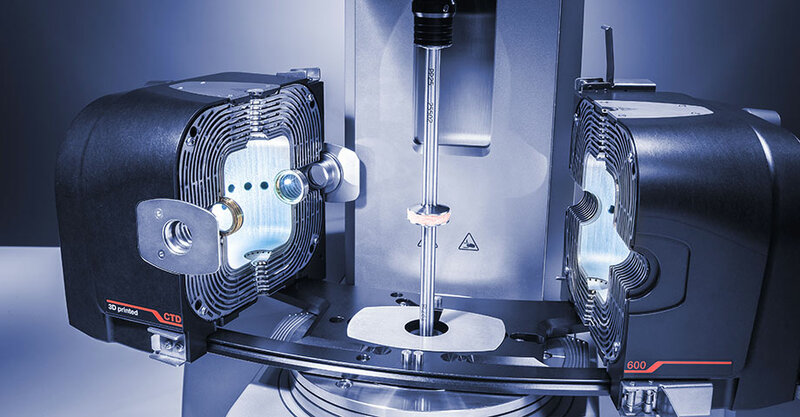 For DMA in compression the sample is placed between the upper and lower tool of a conventional plate-plate measuring system and is subjected to a uniaxial load. The lower part of the measuring system contains an integrated temperature sensor directly below the sample. Because of this the sample temperature can be measured directly, which leads to advanced temperature control and reduced heating times. 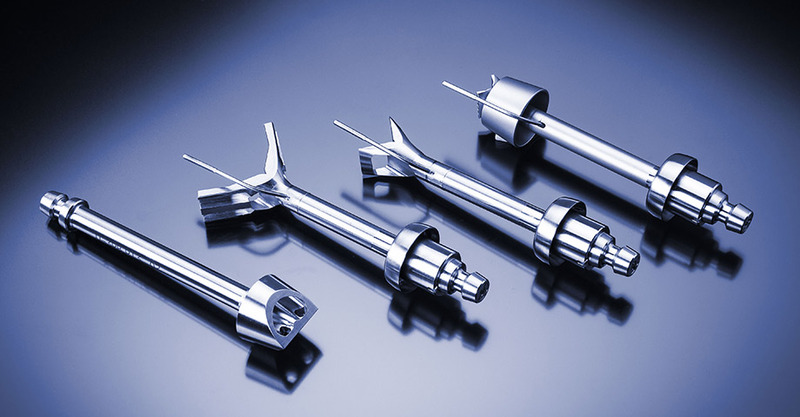 The measuring systems are suitable for DMA of foams, elastomers, food systems, and gels, and can also be used for rheological characterization with the rotational drive of the measuring device in action.